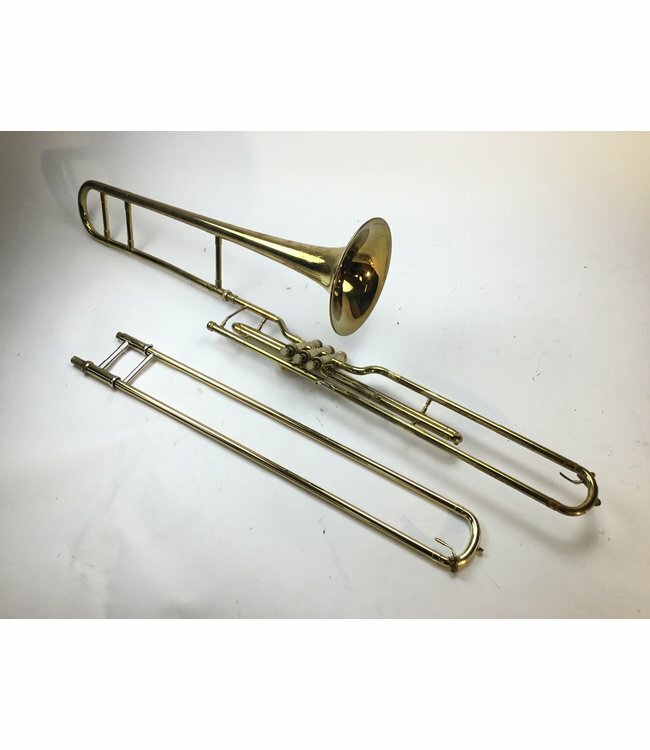 Used Olds Opera Model O-20 Professional Bb Valve Trombone w/additional hand slide. .515” bore valve section, .495”-.510” dual bore hand slide, 8” bell flare. Instrument is in good condition apart from minor lacquer wear and scratches throughout, minor dings throughout bell flare and valve section. Comes with original case.